Sira Bridal Exclusive Wedding Dress Collection. One of Kind Dresses. is committed to designing and manufacturing bridal gowns that reflect High End quality, original design, and attention to detail. Our store allows us to ensure all of our production from start to finish are to our exact standards. All Sira D Pion gown is made to order one at a time. We take great pride and respect in the fact that we do not mass-produce our bridal gowns. Each gown is unique from the hand beaded designs & exquisite laces, to the fit and customization for every bride’s specific needs. 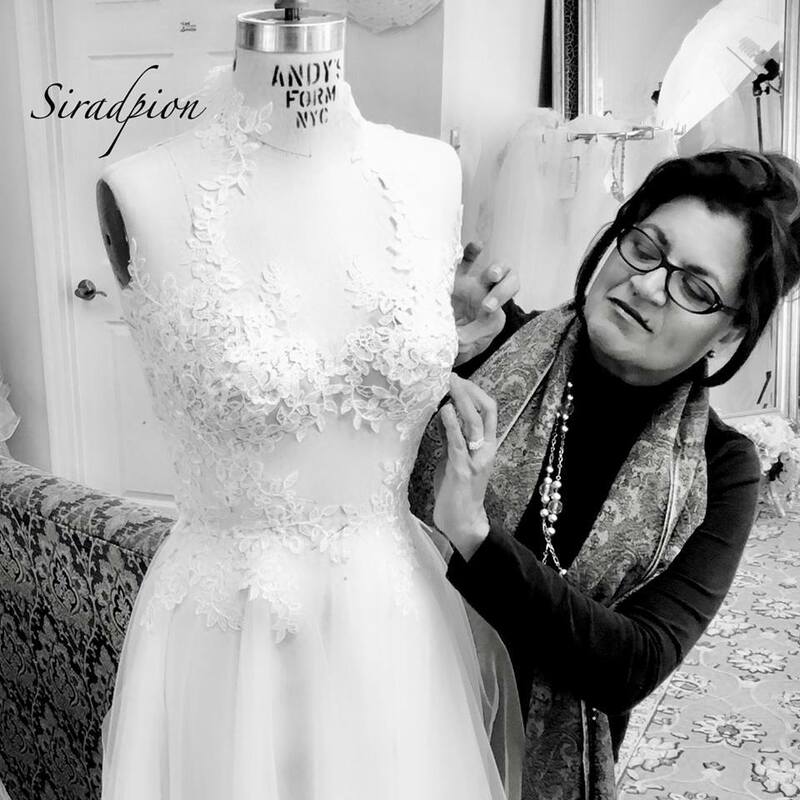 Sira D Pion understands the importance of finding the “perfect” bridal gown for That special wedding day. We recommend that you visit and place your order with a full service bridal salon that can provide you with the personal service and attention that a bride deserves. Sira D Pion is extremely honored to be recognized by the bridal industry receiving multiple nominations for awards of excellence in design and service. Wedding Dresses - Orlando Bridal Store - Bridal Gown - Prom Dress - Mother of the Bride - Orlando Wedding Dress.